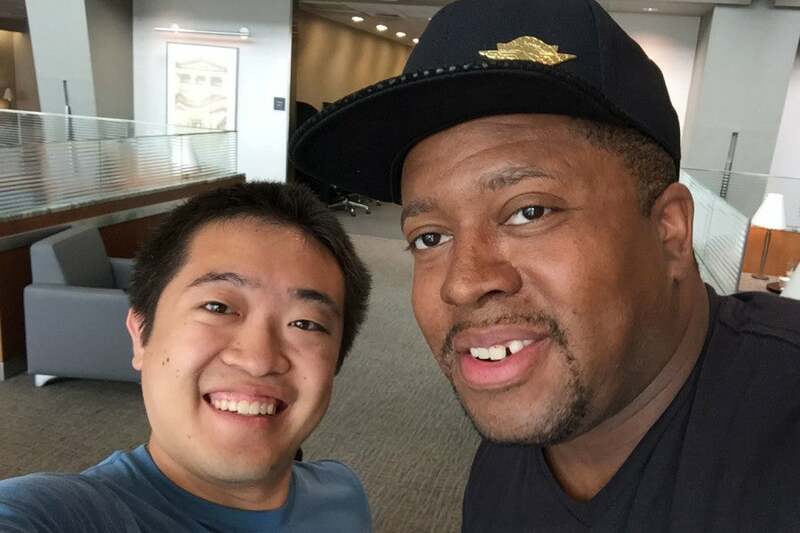 It’s day three of TPG Intern Kevin Song‘s week-long Admirals Club tour, with the Citi / AAdvantage Executive World Elite Mastercard, and he’s visiting the airport near where he grew up, Philadelphia International Airport. Chirp, chirp, chirp — there weren’t literally crickets in any of the lounges I visited today, but there might as well have been. For the first time ever, I was completely and utterly alone in an airport lounge. Philadelphia International Airport is a long-time hub of the former US Airways, now American Airlines. 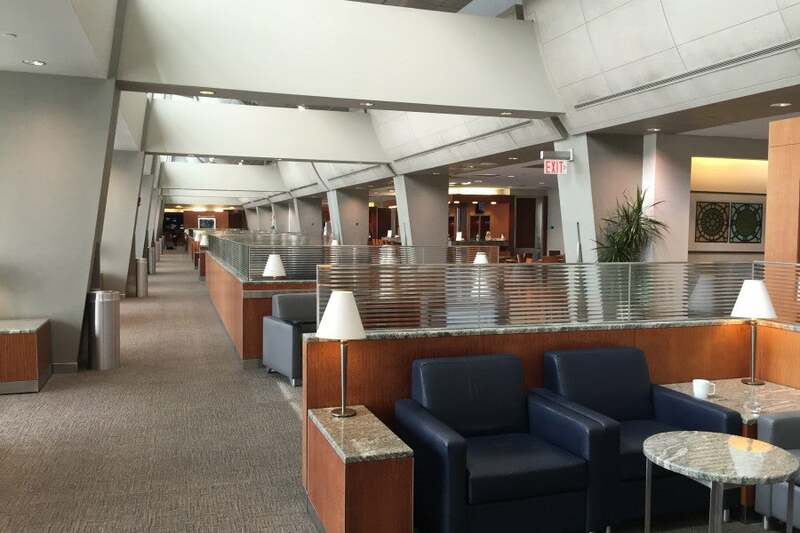 The airport is spread across seven terminals, A East, A West, and B through F. The airport hosts four Admirals Clubs, three of them former US Airways Clubs, and I had the chance to visit all four. The A West, B/C and F clubs are all former US Airways Clubs, while the A East club has been an Admirals Club for quite some time. 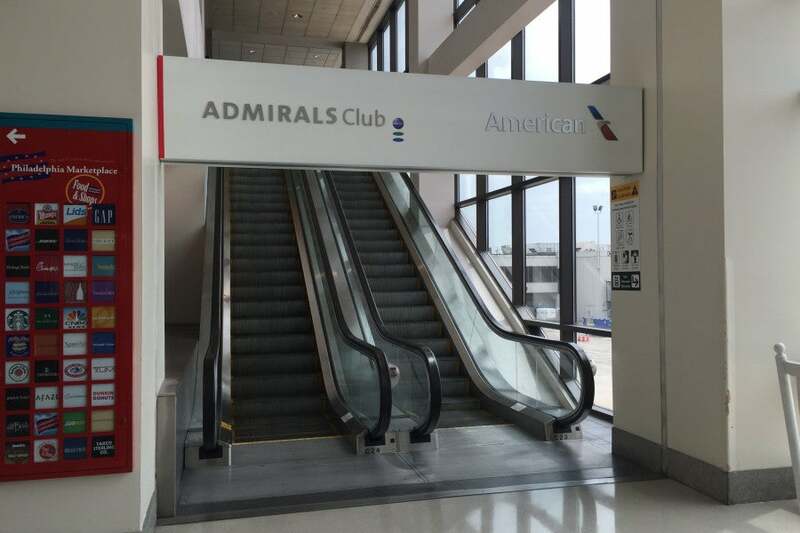 The good news is that all terminals are connected by short walkways, so with a membership, you can access the Admirals Clubs regardless of which airline you’re flying. The only exception is terminal F, which is connected by an airside shuttle — but you probably won’t want to visit that one anyway. Because there are so many to cover, I’ll try to be a bit more brief in this report than my other ones. Upon arriving at the airport in the morning, I headed over to the United terminal to see and report on the chaos there. Even from there, the B gates were just a few minutes’ walk away. I headed over to the A East terminal, home of the pre-merger American Airlines and a few US Airways flights. Terminal A East used to be the international terminal here in Philadelphia — since then, it’s become the host for American Airlines and a few US Airways flights. The Admirals Club here is located at the end of the terminal, one level down from the gates. The entrance is a simple, unassuming door that wasn’t even an automatic sliding door — it’s clumsy to handle if you have lots of luggage. After entering, you can choose to take the elevator or stairs down to the lower level, where all the facilities and check-in counters are located. The entrance to the lounge is basic and nearly hidden. This lounge is truly underwhelming. The entirety of the lounge is simply one small room with chairs shoved into it. Seating here mostly just consists of the standard gray chairs that I’ve found at other lounges, and a dining area by the food. There are no amenities here at all — no showers, no bar, no family room, no quiet room, no recliner chairs and no windows. There were some nice private booth rooms with desks meant for working, but it was dark, black and rather depressing. In fact, the only natural light coming into the lounge is a translucent pane of glass that let in a little outside light, but no view, reminiscent of a 1980’s YMCA swimming pool. The internet here, despite the lounge being so small, was a bit insufficient. 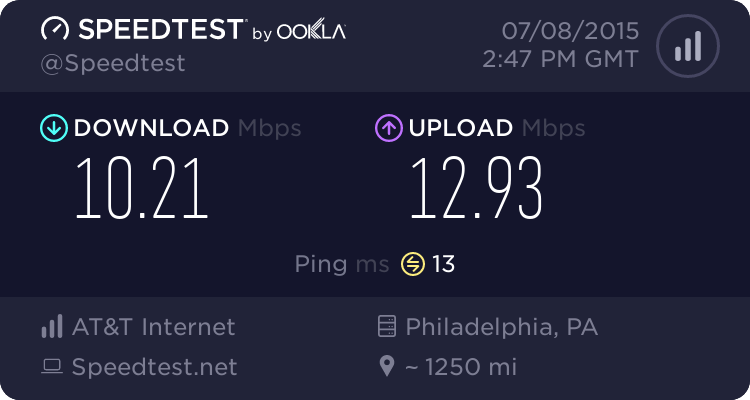 It took a few minutes of toggling Wi-Fi on and off to finally connect, and the speeds weren’t all that great, considering how few people were in the lounge. I would’ve had no reservations connecting to the airport’s public Wi-Fi instead. 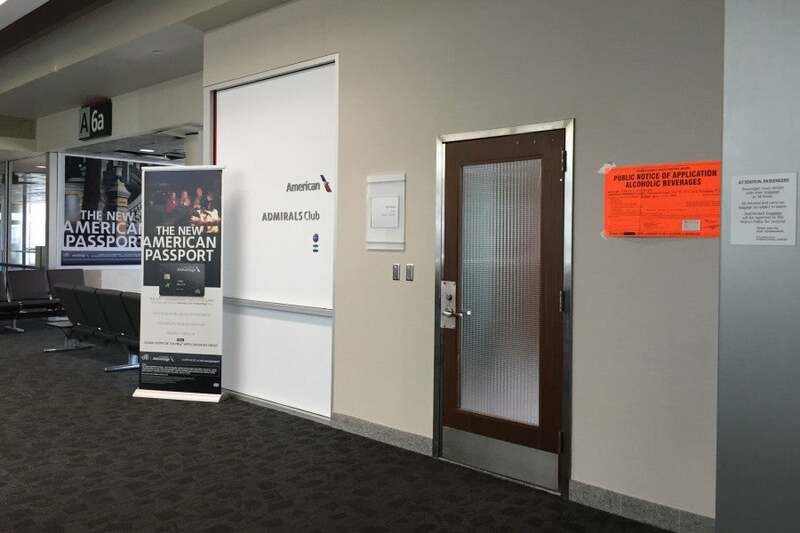 Pretty much the only redeeming factor of this lounge is that, being situated near both the American and US gates, it was staffed with both an American agent and US Airways agent, so that regardless of which airline you’re flying, you can get help with flight changes. However, my experience with that wasn’t so great. The US Airways agent who helped me process a MoveUp seemed flustered and a little forgetful — she asked me for my flight number four times, even after I gave her my original boarding pass. It’s clear she was not too familiar with the computer system, as it took quite some time to process what should have been a simple request. Nevertheless, within about five minutes I had my new boarding pass in hand and scrambled to leave that lounge for greener pastures. A short walk away is Philadelphia’s terminal A West. The well-designed and airy terminal hosts most international airlines. Here, I found an oasis of peace, and quickly found out that this terminal can be creepy — really creepy. 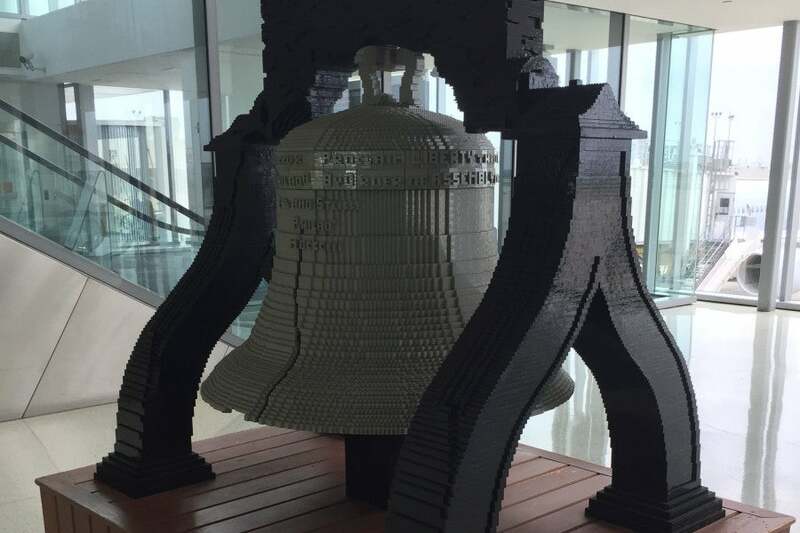 Don’t want to wait in line to see the real Liberty Bell? There’s a LEGO replica outside the A West Admirals Club. Philadelphia doesn’t host any transpacific flights, and like at many airports, transatlantic flights tend to leave in the morning or afternoon. Walking through the A West terminal was like walking through a ghost town — it was nearly deserted. 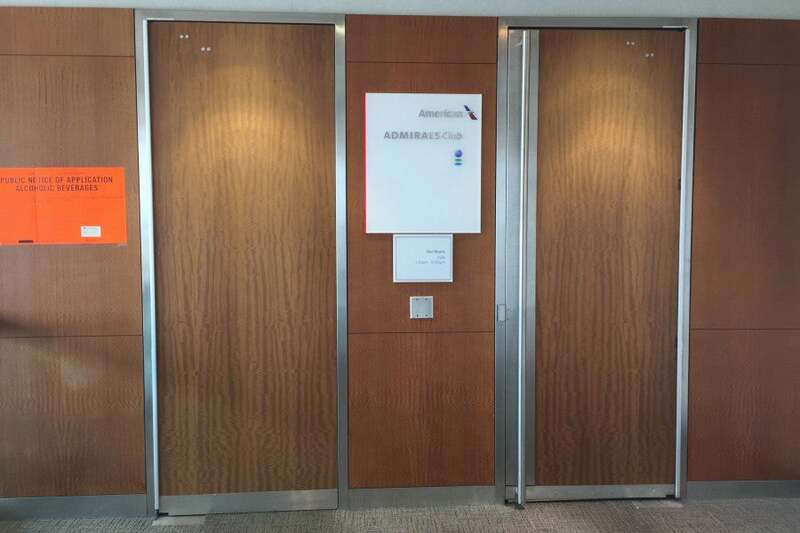 The entrance to the A West Admirals Club is actually up on the mezzanine level — two stories above the gate level. You have the option of taking a long escalator, elevator or stairs up to the club. When I got there, I thought it was closed at first, since there was nobody there. But, it was indeed open all day, from 5:30am to 10pm. The lounge is huge. I’ll come right out and say that. After you check in, it looks like a normal-sized lounge, but if you look left, there’s actually a whole other half to the lounge that’s closed off when the lounge isn’t busy. The portion of the lounge that I was able to fit in my photo below was perhaps one third of the whole space. But size definitely wasn’t an issue today — I really was the only one there. Now, I’ve been in some fairly empty lounges before, such as London Heathrow’s T5 Galleries First lounge at 5am, but never had I been completely and utterly alone in a lounge. It the lounge didn’t have sweeping views of the runway, I’d have no idea I was in an airport. In addition to the front-desk agent, there were two other employees in the club — one in the bar/dining area (though she was more occupied with watching videos on her phone) and a second going around dusting off plants. This might be the single best seat in the entire lounge. In total, that means that there were three times as many staff members as there were visitors — which I thought would translate to decent service. Unfortunately, I was wrong. Dirty dishes, both mine and what I assume to be left over from the morning’s international flights, were left undisturbed around the lounge, and snacks came out exceptionally slowly, to the point that the midday snack spread wasn’t out until almost noon. Strangely, once the midday spread was out, the water, orange juice, cranberry juice and tomato juice pitchers from breakfast disappeared completely. There didn’t appear to be any way of getting water, short of attempting to find one of the curiously absent lounge staff. The furniture in this lounge was much like the furniture all other former US Airways clubs, with the same gray chairs I’ve grown to expect. 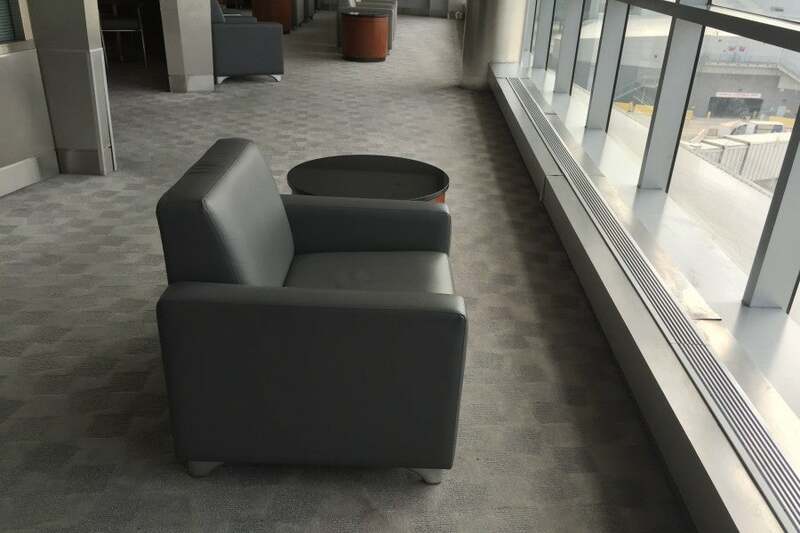 However, given that this lounge is much larger in size, and it caters to international flights that might have longer layovers, I would have liked to see a greater variety of seating, especially recliner chairs or lounge chairs. Additionally, there were no showers, an amenity expected at a any major international terminal — in fact, there aren’t any Admirals Club in Philadelphia with showers at all! None of the chairs next to the window were facing out towards the nice view, save for one — that one might just be the best seat in the lounge. The internet in the lounge was usable. I suspect that should there be more than just one person in the lounge, however, the bandwidth would quickly dry up. Soon, I packed up my things and headed to my next destination. Even when I left three hours after I got there, there was still only one other passenger in the lounge. Overall, for a lounge situated in an international terminal, I would have liked to see a better variety of seating and showers, and while the lounge wasn’t bad, the emptiness of it, the never-present and not-so-friendly lounge staff (they didn’t even say hi!) just didn’t feel right. I headed to the terminal B/C lounge for lunch — this lounge is the primary lounge that serves US Airways flights, and as such, it was a bit busy. It’s not a small lounge though, so there wasn’t a shortage of seats, at least midday on a Wednesday. You access the terminal B/C lounge by going up a prominent set of escalators. The entrance to the lounge featured some of the best and easy-to-find signage around, as the sign over the escalator was huge. Adding to the feeling of seclusion, after going up the escalators, you enter not one, but two more wooden doors. I’m not sure why that’s necessary, as the only thing at the top of the escalator is the club, but it does make it feel nicer. Going up the escalators wasn’t enough — there’s another set of doors to enter through. The lounge felt a little dated, as it’s one of the oldest in the airport, but it wasn’t terrible. There was a view of the runway, though not as great as the view from terminal A West. The long lounge featured seating and dining areas off to the side. 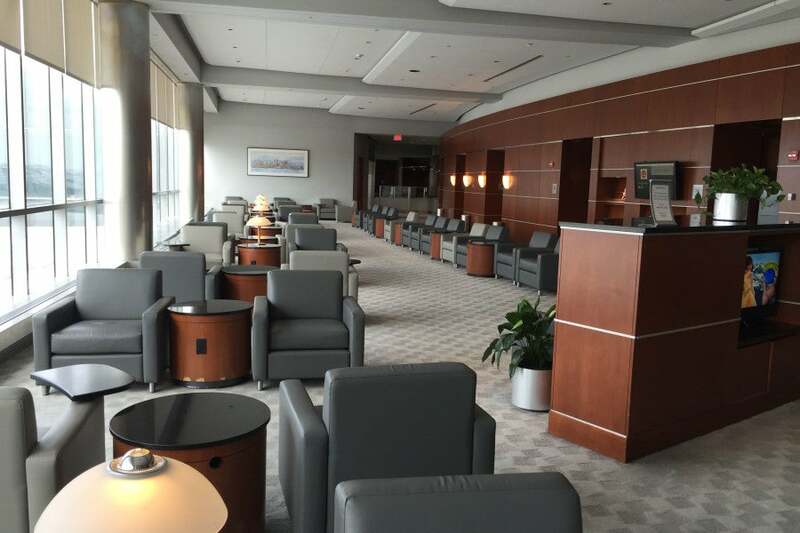 I wrote Monday that the best part about lounges is the staff there that can help you with rebooking — I found the staff here to be excellent, and they were extremely courteous and friendly when I asked to do the MoveUp program to an earlier flight. Earlier that day, in the A East lounge, I had done a MoveUp from the 10:45 pm flight to a 5:15 pm flight because US Airways only lets you move up to a flight six hours before your confirmed one. The loophole there, however, is that once confirmed on your new flight, you can then MoveUp again. If you don’t have status though, you’ll have to pay the $75 fee twice. To my surprise, the lounge agent let me know that there was a first-class seat available on the 2:15 pm flight, and I agreed to be moved to that flight. That isn’t usually a big deal, but in this case, it was. I was on an award ticket, and those aren’t normally eligible for upgrades, regardless of status. Somehow though, she was able to do so, and within a minute or so, held a new boarding pass in my hand for a first-class seat. 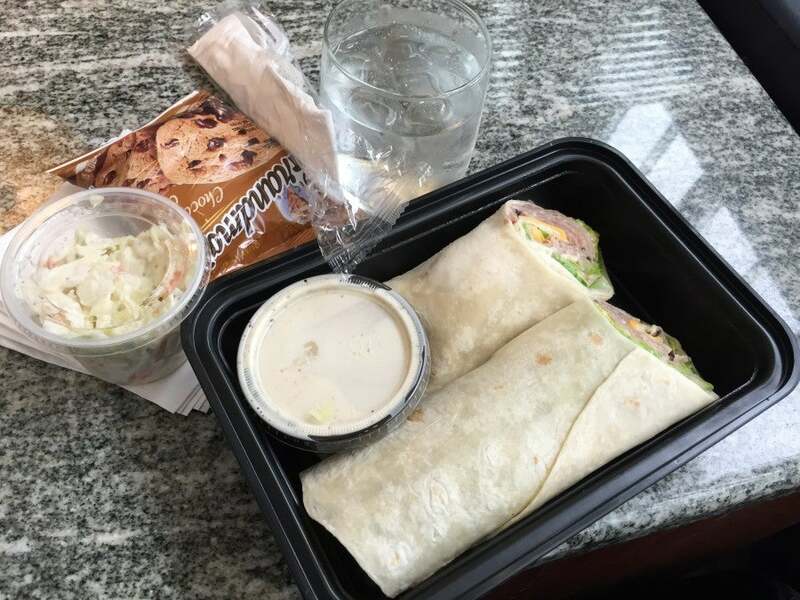 For lunch, I ordered the roast beef wrap. Unfortunately, like the other lounge food I’ve had on this trip, it was subpar. But at least it wasn’t moldy. This time, it wasn’t even presented on a plate — simply given to me in a plastic takeout container. It was moist, soggy and downright disgusting. On the plus side though, the lounge staff were incredibly kind. This roast beef wrap was truly not appetizing at all. To my surprise, I ran into fellow TPG reader Ernest while in the lounge, who had read my review yesterday of the lounges at LaGuardia. I don’t think the urinal height would have been a problem for him though — being short is pretty inconvenient. It’s always great to see TPG readers and chat about traveling! I was able to chat with him for a bit before heading off to my next destination on my newly minted first-class boarding pass. Philadelphia’s terminal F caters to US Airways Express regional jets. It’s the only terminal not physically connected to the others airside, but a frequent and easily accessible airside shuttle is offered. I do have to admit that I actually visited this lounge the afternoon before, upon arriving on my regional jet flight from New York-LaGuardia. I actually missed the lounge entrance the first time walking down the terminal, as there’s barely a sign to indicate that it’s on the second floor above the food court and shuttle stop. The lounge isn’t much more than this narrow hallway, cramped seats and some food on the side. Sadly, this lounge is tiny. No more than the size of a small room, the chairs were incredibly close together and squished, and not comfortable at all. Worse, when cleaning up dirty dishes, the lounge staff brought around a cart to attempt to maneuver around the tight spaces and simply left the cart in the main corridor while going around to collect discarded items by hand anyway — it was a tight squeeze. Unfortunately, the internet was pretty poor as well. 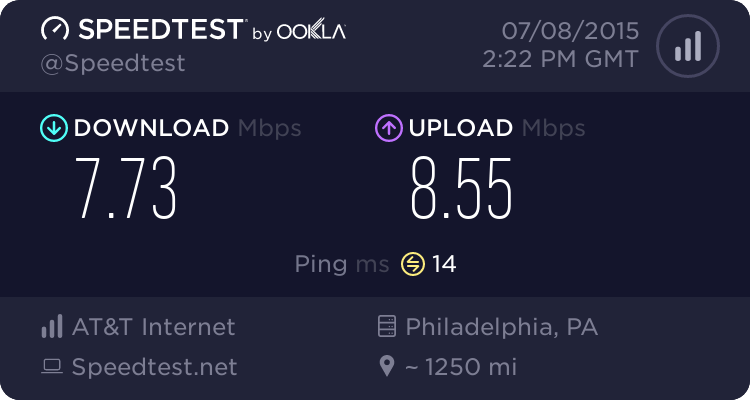 It kept disconnecting, and speeds weren’t great even when it worked. Overall, unless you’re departing from terminal F, there is absolutely no reason to make the trek over here to visit this lounge. I’d rather go downstairs to the food court and get myself some Chipotle. 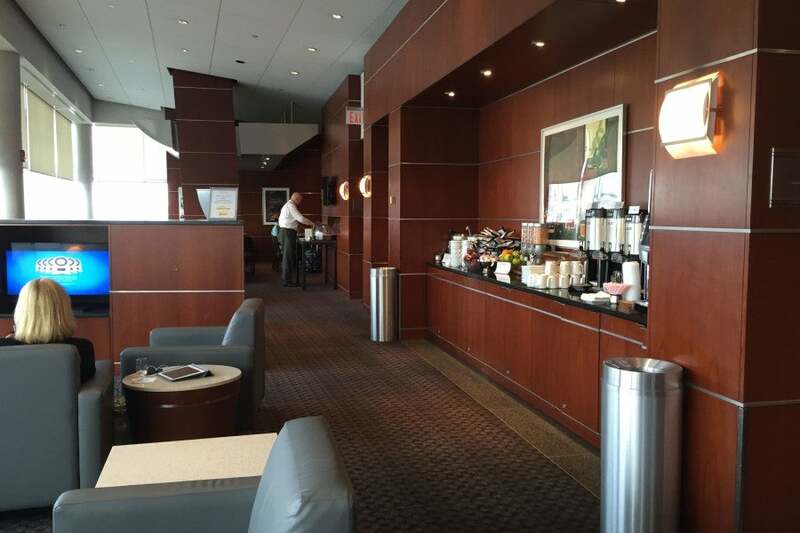 There are quite a few Admirals Clubs available at Philadelphia International Airport. Of the four available, I’d most certainly skip the lounge in A East, even if you’re departing from A East — it’s a short walk to a much nicer lounge. And, unless you’re departing from terminal F, there’s no reason to go there either. On the other hand, I enjoyed my time in both the B/C lounge, and A West. I never thought I’d say this, but A West might actually benefit from having more visitors than when I was there, as lounge staff might be more inclined to make rounds to gather up discarded items and it wouldn’t have felt quite as soulless. 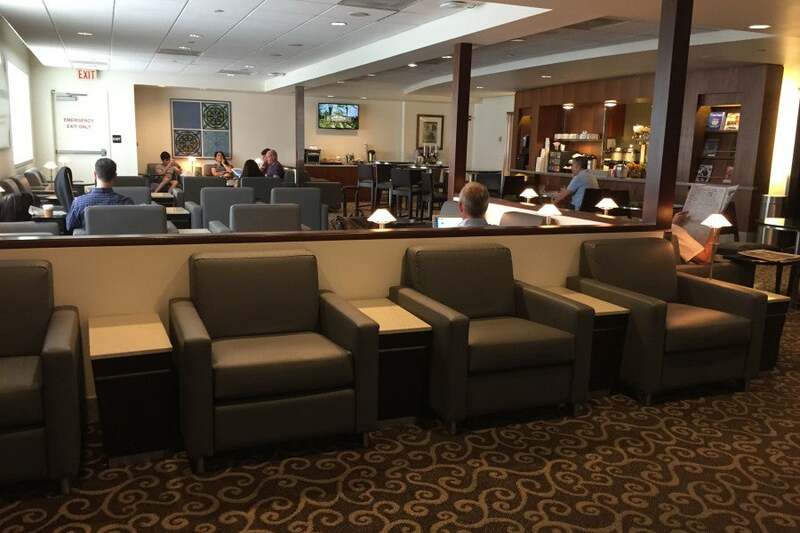 I’ve said time and time again that the best reason to have lounge access is being able to seek assistance from the normally well-equipped staff, and my experience at the B/C lounge definitely solidifies that sentiment. I would not hesitate to return there or to A West. Be sure to follow along as I continue my week-long Admirals Club visit. If you’re looking for free access, the current Citi / AAdvantage Executive World Elite Mastercard offer is hard to beat. While I won’t divulge my itinerary ahead of time, you can expect daily afternoon posts, and if you see me in an Admirals Club this week, feel free to come up and say hi!